I’ve been invited by Jeremy Osborn of Aquent Gymnasium to be a guest along with fellow Boston-area designer Jenna Bantjes to discuss the topic of Prototyping. Looking forward to a lively discussion and Q&A with participants. I’ve decided to share this artwork in-progress because I’m not sure it’s ever going to become of anything. This is a quick story about a side-project I started messing around with back in November of 2016. Note: If you are an iOS developer who likes to make sticker packs and think it would be fun or quick to get these into the market please get in touch. 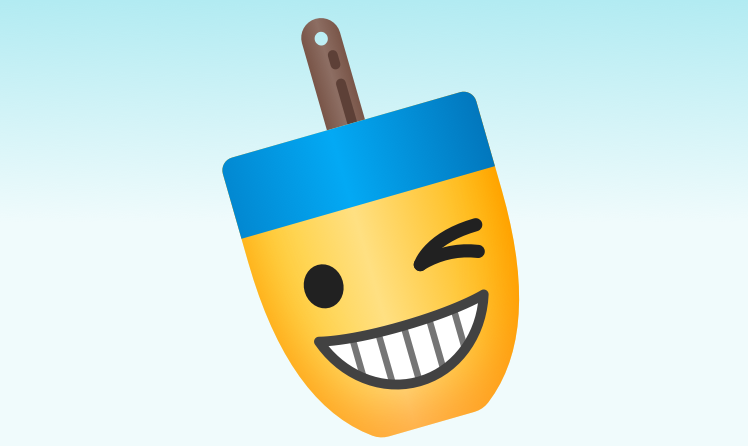 My thinking at the time was to create some alternatives to standard emojis. 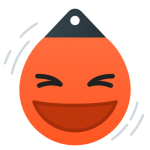 The challenge offered a simple set of constraints – to try and reimagine just the subset of “Smileys” with a buoy theme (a “Buoymoji” play on words). I did learn a lot about options for using symbols so that I could quickly swap and share common elements like sets of eyes, and even how to set the base buoy shape so that I could very quickly create sets that could be different colorways (ex. yellow, blue, pink, white, green buoy families). 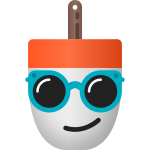 I even went and grabbed the domain buoymojis.com and still have that. It was also a good opportunity to learn about the other types of assets needed to post Sticker packs, like an ‘app banner’ shown above. I experimented with referencing contemporary events in the the icon set. For example, Snap had recently come out with their first version of Spectacles so I have the sunglasses emoji wearing them. Overall it was a fun project that I may consider picking back up at some point. Thanks for looking, “Fair winds and following seas”! Is Apple’s Two-factor Authentication Onboarding Process Deceptive? Some key points may call into question whether or not Apple is using a bit of dark pattern UX to expediently persuade customers to adopt this complex feature. The key assertion of the complaint is accurate – one cannot eventually turn off or otherwise reverse the choice to move to Two-factor Authentication. There are commenters on the Macrumors article that suggest that people are “dumb” if they want to turn it off and lose security features. However, there are valid use cases for wanting to turn this feature off – so if that’s not possible there are people who would like to be aware of that information up front and may choose not to adopt the feature. When a promotion uses wording that expresses a certain mental model to users such as the idea of turning something on – people tend to expect the converse option of being able to turn something off. Apple explains its step one as “Turn on two-factor authentication in Settings”, so they are responsible for insinuating the expectation. Related Apple email messaging uses the word ‘enable’ which also sets an expectation of ‘disable’ (third parties talking about this matter are referring to Apple’s feature as ‘opt-in’, which also suggests a method of ‘opt-out’). If Apple wanted to describe this offering clearly, they would say something like “Switch your account over to two-factor authentication – an effective security upgrade that cannot be reversed” – this might give certain users pause and allow them to consider the tradeoffs of security vs other personal concerns (i.e. make a well-informed choice). The important irreversibility details effectively contradict the way they ‘sell’ the commitment level of the feature. In addition, they separate and include those details further down the page in an FAQ style section. It certainly does seem like Apple is using content strategy techniques to knowingly obfuscate irreversibility with its ‘easy’ two-part instructions pattern in the main content area. It’s my assumption that Apple has probably been aware of this issue for some time, even if it was not initially the goal. It’s also my hypothesis that a design-driven company must intentionally make a decision to sustain knowingly-flawed user experiences. I’ve been very impressed in playing around with the Artboard.studio web app pre-release. You can request early access on their website. If you need to create a variety of physical product mockups beyond just computer and mobile ‘devices’, this service is aiming to be your one graphic design compositing tool for applying custom designs to everything from clothing, to retail packages and of course computers and smartphone app mockups too. I’ve been intrigued by the potential endgame of a single environment that could satisfy the needs and modes of operation for both visual UI designers and developers. Convergence of tools has been a theme of my “Looking Ahead” new year blog entries for 2017 and 2018. Typical UI Design tools still offer an excellent working model for quickly manifesting design ideas at any level of fidelity. Many of us know of situations where a well-executed mockup that took 30 minutes to render in a design tool (drawing pictures of screens) might get a dev estimate of many hours or days to execute (QA’d production code). As long as that dynamic exists, many designers will continue to prefer WYSIWYG drawing tool interfaces over working directly in code – especially when they are early in the ideation process. Popular tools like Figma, Sketch and AdobeXD continue to make moves toward exporting out to React and potentially other libraries. However, as of now, these are one-way, and the real deal will be bi-directional or zero-conversion options. Here’s a roundup of new tools looking to shorten or even eliminate the distance between drawings of screens and production-ready code (in alphabetical order). © Copyright 1997-2019, James Young. All Rights Reserved.